1. 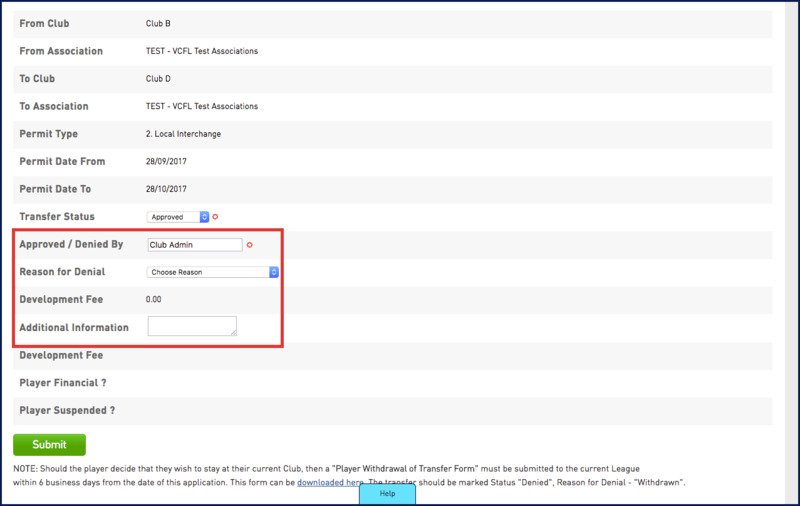 From menu, hover over Members and select List Online Transfer. You will see a list of transfers or permits, waiting for approval. 2. Click on the link under This level's status column. This will open the details page. 3. 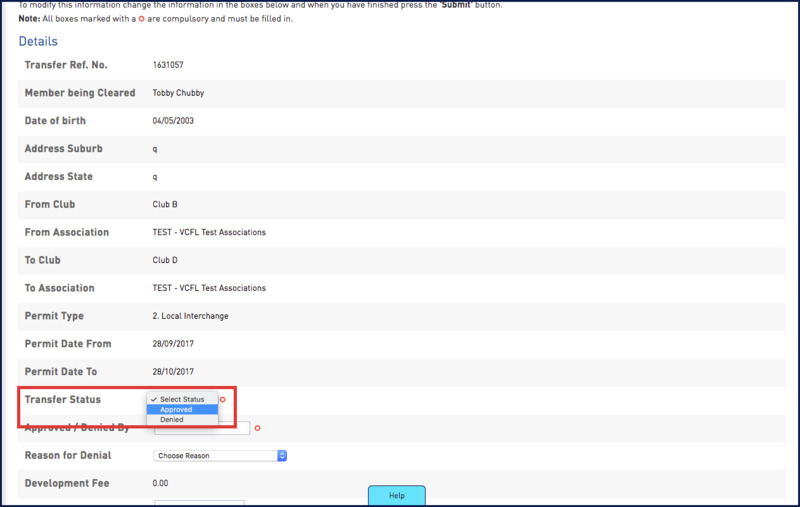 Scroll down the page and select Approved or Denied in the Transfer Status Dropdown. 4. Enter all other mandatory information. If you are denying the request, then select the reason for denial. NOTE: Any field with a red star mark is mandatory.